it’s you is the surprise follow up companion album to it’s not us (released January 12th, 2018). 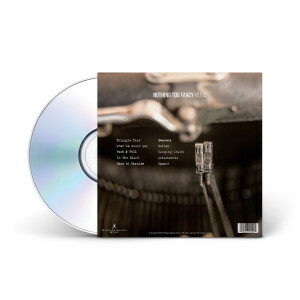 Recorded in the same studio session as it’s not us, the album contains 10 tunes that have never been recorded, 7 of which are brand new, never performed live by Umphrey's McGee. 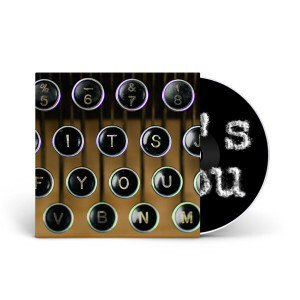 The it’s you CD comes with an instant grat mp3 download of the album. We’ve been saying it in various ways for the past twenty years. But allow our actions to speak for us as we release another new album to affirm that it’s truly not us, but rather you. After completing the latest round of recording sessions and digesting the amount of material we’d tracked, it grew increasingly clear that a single album wasn’t realistic. The collective level of enthusiasm around the majority of these tunes made us reluctant to leave much on the cutting room floor (rarely the case). And that is why today we’re elated to continue our 20th Anniversary celebration by unveiling the new, new album from Umphrey’s McGee, it’s you. Plainly put, "It's You" is a great album. This album along with "It's Not Us" make a great double-album experience. I personally always listen to them back-to-back and love the flow from song to song (and album to album). Each song has its own distinct sound and each is powerful and amazing in its own way. I own every Umphrey's McGee album and these two albums are definitely in my top 5. The writing / song structure are fantastic, the vocals are outstanding and you can tell that Brendan, Joel, Jake, Ryan, Kris &amp; Andy area all at the top of their game. I would highly advise anyone to grab both "It's You" and "It's Not Us". After listening to every UM release there is...and loving them all...I can say with 100% confidence that this is a GREAT RECORD and everyone who follows the band needs to get one soon!